I have been using the Soap & Glory Peaches and Clean Deep Cleansing Milk for quite some time now and it has quickly become one of my favourite ways to remove makeup at the end of the day. I love how this cleanser comes with a pump so you can’t use too much product, you only need two pumps which is more than enough to cleanse and refresh your skin. It starts out as a cream, but once mixed with a little water it becomes more like a cleansing milk. It does remove makeup well until it gets to mascara.. When I first used it to remove all my makeup I still had a light layer of mascara still on my lashes, but I’ve got into the habit of removing my eye makeup with another current favourite which is the Nivea Daily Essentials Extra Gentle Eye Make-Up Remover before taking the rest of my makeup off. 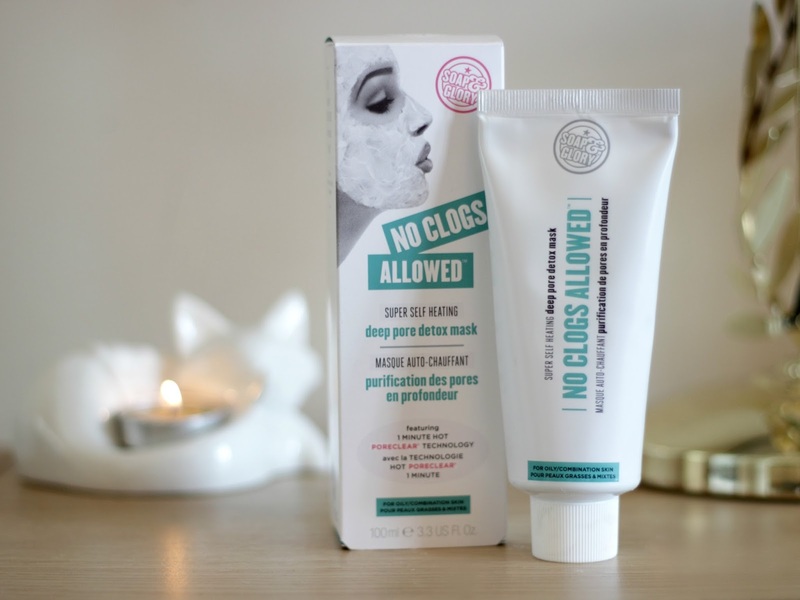 For a good value cleanser, it has a lovely sweet scent which isn’t overpowering, I always find that Soap & Glory get their scents spot on with their products and it is one of the reasons why they have quickly become one of my favourite brands.. Not only that, but my skin has never felt or looked so good! I have tried out a lot of cleansers over the years and this is the full package. With other cleansers I’ve tried in the past, they either caused my skin to break out, dry out or make it oily, however, this cleanser has only done good things to my skin! It’s highly moisturising, unclogs pores, evens skin tone and keeps oil levels at bay. I’ve barely had a serious breakout in the past three months and for my skin, that’s pretty good! The pros weigh out the cons completely, definitely worth a try if you’re on a bit of a budget. I have a lot of posts to get done this year.. So welcome to the first of many! I hope you all had a fantastic Christmas and New Years. I popped into Boots a few days back for a quick mooch around and came out with half of Soap & Glory’s skincare range.. Oops, all I can say is I’m thankful for Boots points! I ended up getting two cleansers, a moisturiser, eye serum, blemish treatment and a face mask. I will most likely do a more in-depth post about each product once I’ve been using them for a month so I can give a better opinion on everything. First off, the only product from the range I knew I wanted to try.. Before I was using the Liz Earle Cleanse & Polish Hot Cloth Cleanser, but at £26 it is a little on the expensive side. I’m trying to find a cheaper alternative and I think I might have found one. I’ve used this once so far to remove my makeup and my skin has never looked so clear! 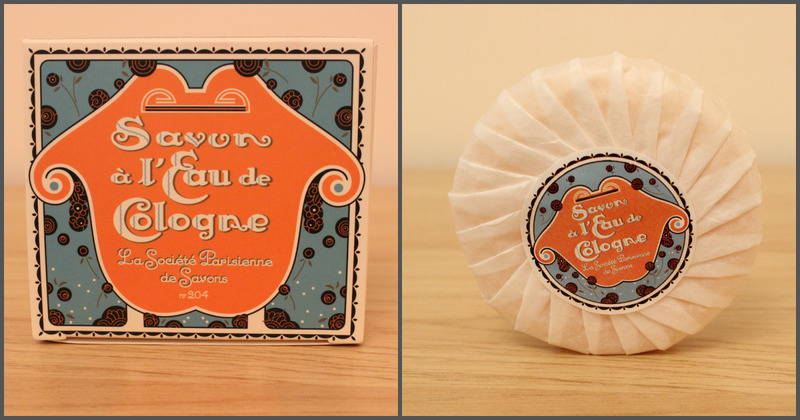 It doesn’t really smell of anything which is a bonus, I’m not overly keen on scented thick cream cleansers. I always use a toner after cleansing which usually gives away if a cleanser is good or not, there wasn’t a single trace of makeup left! 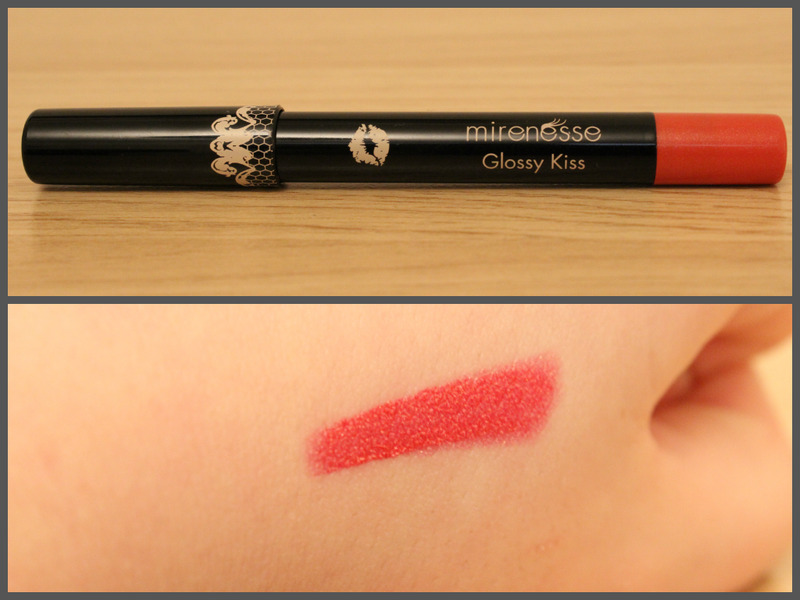 I think this will be one to repurchase time and time again, plus it’s only £10! I would suggest this cleanser if you’re more on the lazy side. Literally just need to slap it on, wipe it off then go to sleep.. Perfect! It’s another cream cleanser even though it’s meant to be a milk, however, it’s not as thick as the cleanser above. Again, I got amazing results, removes all traces of makeup and moisturising. I’m not sure if I would repurchase this at the moment but we’ll see how it goes. This is by far the strangest thing I have used, I’m not sure if I like it or not.. The results are amazing my pores were clear and barely visible, any blemishes I had faded and it left my skin feeling soft and fresh! I’m just not sure how I feel about the self-heating side of it, I’ve never used a self-heating mask before so I wasn’t sure what to expect and I’m still on the fence about it. It doesn’t get ridiculously hot, almost feels like someone is blowing a hair dryer in your face with the heat setting on, so nothing uncomfortable. I love it for the results alone, we’ll work on the heat thing! If any of you have been with me for a while, you will know that I am a firm lover of the Nivea Daily Essentials Express Hydration Primer and I still am, however, this is on the same level of love! It’s a lightweight moisturiser which doesn’t leave your skin feeling sticky, only incredibly soft and hydrated. It has a subtle peachy smell which I love and so far I haven’t found that it breaks me out in any way, unlike some other moisturisers.. Definitely another one for the repurchase list! 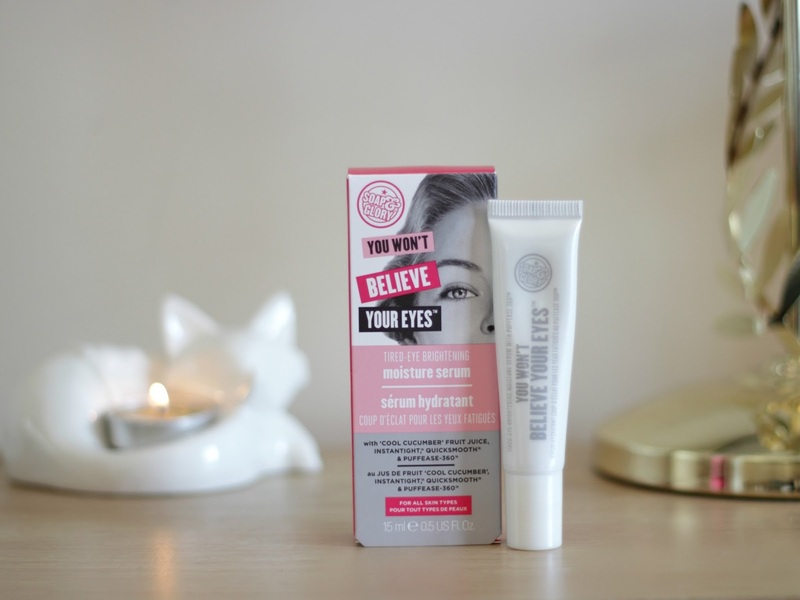 I hate my under-eyes with a passion so I am forever trying out under-eye products, I was surprised to find three little rollerballs to apply the product which is brilliant for bringing puffy eyes down. The serum has quite a silky feeling on the eyes and doesn’t go sticky once it starts to sink into the skin, unlike many other products I have tried. I’d say it’s very similar to Simple Kind To Eyes Revitalising Eye Roll-On with how it goes onto the skin and works. The results are perfect, my eyes are brighter, smoother and the suitcases have gone from under my eyes.. Love it! I have only used this a handful of times, but in all honesty, I haven’t noticed much of a difference in my blemishes. It might be because the blemishes I have at the moment are more hormonal than anything so that could be a factor, but I will keep using it twice a day and hope it works! It’s an almost watery gel formula which spreads easily, the only thing I have noticed is it makes my skin drier than usual with these types of products which isn’t ideal. As it stands I doubt I’d buy this again, but things could change. 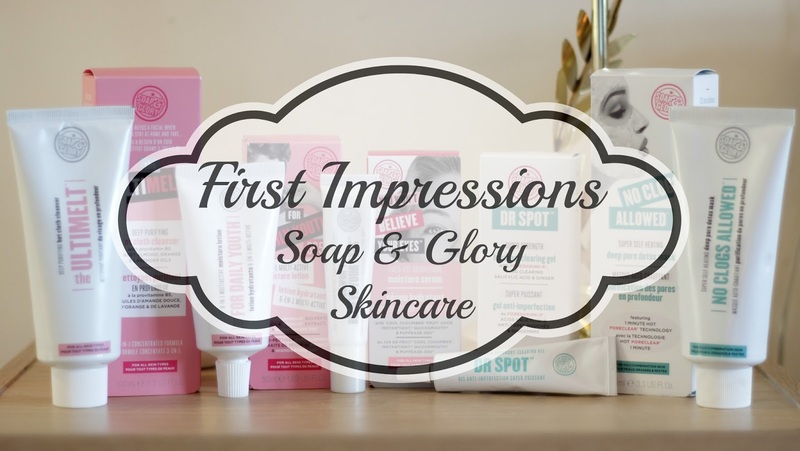 So that is everything I got from Soap & Glory for now, I will most likely buy more and maybe try out some of their makeup too.. What’s your favourite Soap & Glory products? Recently I’ve been feeling brave with trying out new skincare products because my skin has been pretty bad the past few months due to travelling and a few other factors. 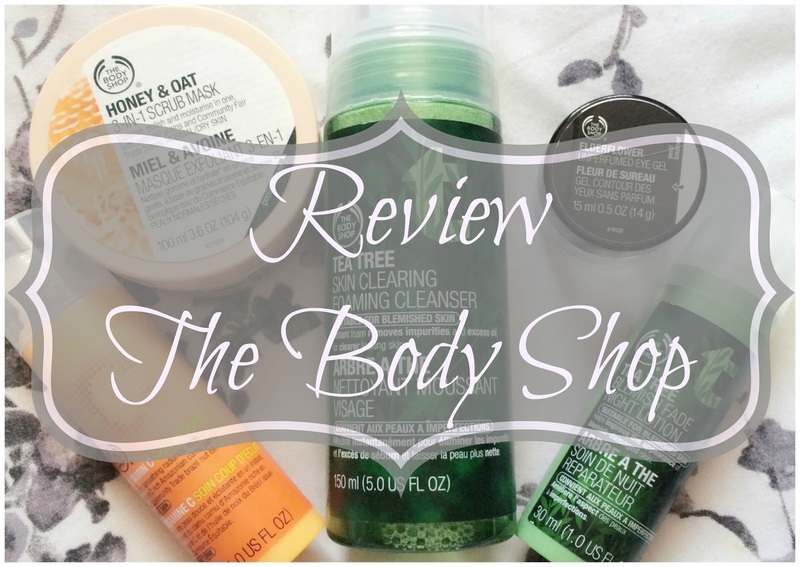 A friend recommended I tried out some of The Body Shop products so I bought a few of their recommendations and I’ve been using them for a while now so I thought I would give each a little review. Up until now, I was using any cleanser I had to hand and a face cloth to wash it off afterwards.. This was fine when I was using the Liz Earle Cleanse and Polish Cleanser however once it was gone I noticed I was getting little dry patches again, I knew it wasn’t the cleansers I was using because they’ve never caused any problems to my skin before so I thought it must be the cloth and I was right! In the back of my mind, I wanted to get some sort of cleansing brush and I almost bought a Clarisonic brush. After reading many reviews saying that some of the brushes are quite harsh, including the sensitive ones it put me off getting one.. I discovered this little gem out of the blue on a shopping trip with a friend and there we both were, exploding over how soft this brush was! Seriously, next time you‘re near a Body Shop just pop in and touch this brush.. You may find it as difficult to leave behind as we did. Since using the brush my skin has improved and it’s almost back to normal which leads me to the next product which is the cleanser I have been using.. 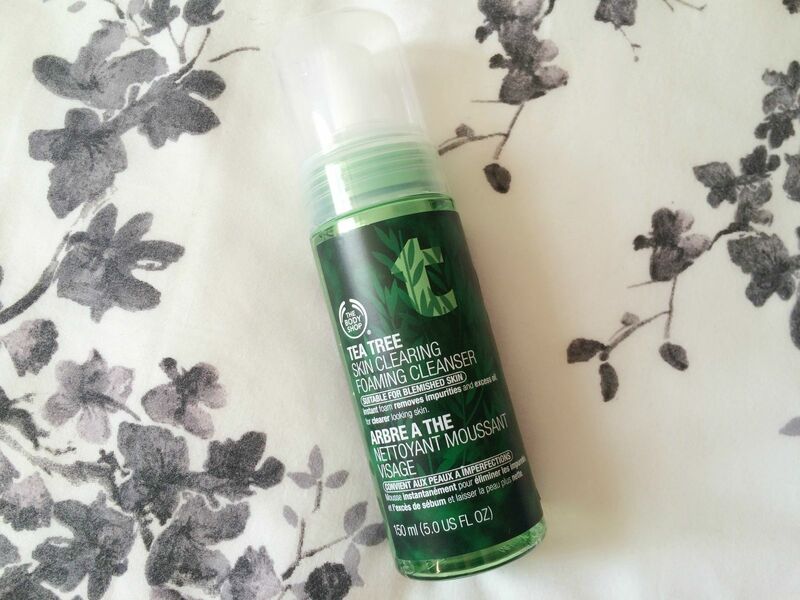 I haven’t used any products with tea tree in since my mid teens as it didn’t react with my skin all that well, so I was a little nervous to give it another go. I am pleasantly surprised with how well it has worked with my skin. I really love the smell of this cleanser, to me, it smells like candy canes and since using it my skin has improved dramatically. I usually use this once a night after I remove my makeup for a deep clean. It makes my skin feel much fresher, although I’ve stopped using this one for a little while as I have a lot of partially used cleansers so I’m trying to use them all up. I’ve been using this one when my skin starts to flare up and I also bought the night cream version..
There’s not much more I can say about the lotion that I already have for the cleanser other than it does exactly what it says on the bottle. I’ve always had a few scars on my chin from previous breakouts, but now you can barely see them and under makeup, they’re invisible so if you have acne scarring or anything I definitely recommend it! It’s a very hydrating formula which doesn’t vanish within a few minutes and your skin doesn’t start drying out almost instantly, every morning my skin has felt so soft and has a healthy glow. This is quite possibly the best daily moisturiser/primer I have used in a long time! For a good few years, I have sworn by the Nivea Daily Essentials Hydrating Primer, but this blows it out the water! It helps my makeup last all day, has a lovely orange smell, brightens and smooths onto the skin perfectly.. I don’t care that you get 30ml for £15 as it’s worth every penny! I know I’m going to end up with the whole range before long..
I’ve never been too much of a fan of face masks, I’ve always hated the tight feeling as it’s drying out, however, I have never tried one like this. It doesn’t harden, make your skin feel tight or have a horrid smell like a lot of the masks I have tried in the past. 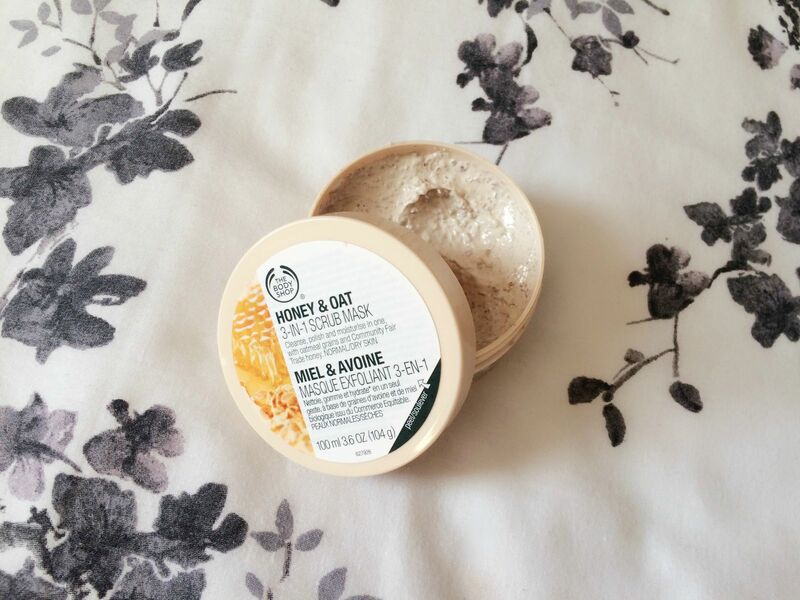 It is a mask that cleanses, polishes and moisturises in one simple step, the oats act as a gentle exfoliator whilst the honey conditions your skin leaving it refreshed and soft. I’ve been using this once a week, usually a Sunday when I know I’m not going to be doing all that much and plan to have a little Netflix binge! I have tried many different eye creams and gels but nothing has made a huge impact with my undereye problems until I tested this out. It isn’t specifically for anything such as fine lines or dark circles, however for me, it has improved the skin around my eyes, help plump out any annoying little lines and since using this my dark circles have faded too. It doesn’t have any smell whatsoever and a little really does go a long way! I’ve used it morning and night for the past three months and I’ve barely made a dent in the pot. I know I’m going to be getting a few more bits from The Body Shop soon and I’m excited to try everything out, I’m sure my bathroom will look like a mini store by the end of it! What are your favourites? Recently I have found the perfect skincare routine for my skin, I have normal/combination skin with the occasional problem with breakouts when I’m stressed or it’s that time of the month. 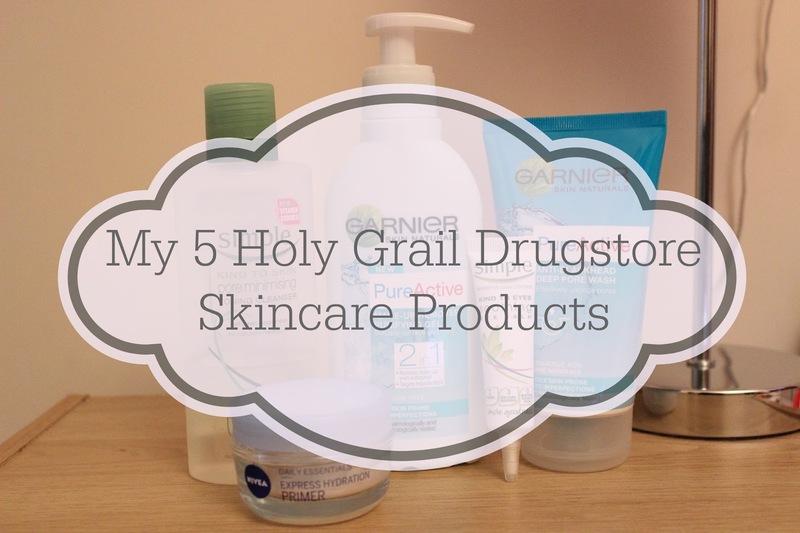 So I thought I would share my 5 holy grail skincare products which are affordable! If you’ve been with me for a while then you will know that I absolutely adore this moisturiser/primer! One of the reasons why I love it so much is because it’s a multitasking product which saves time and money! I use the one for normal/combination skin and it works wonders for my skin, smooths out every pore and my make-up routine works perfectly with it too! I am quite the night owl so I tend to get terrible dark circles and bags quite often so I can use all the help I can get! I’ve been using this for over a year now and I really couldn’t live without it. Now I know I could just be like any normal person and go to bed early but when you’ve been in the routine of going to sleep at around 2 o’clock every day for the past year or so, you get stuck in that habit and your eyes pay for it! 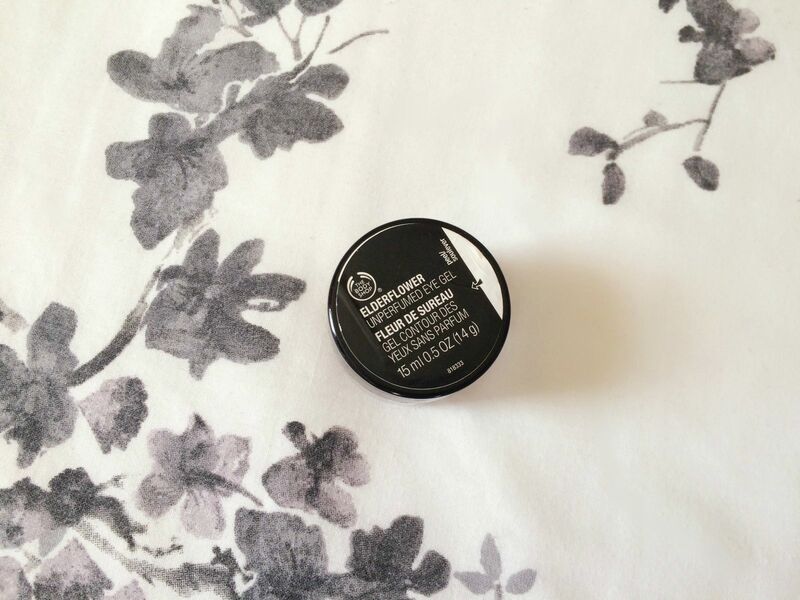 This cream is fantastic at taking down any puffiness and tames that ‘I’m a zombie’ eyed look in a matter of minutes! How awesome is that?! Yet another multitasking product I adore, not only does it remove every last trace of make-up but it also clears any imperfections. Again I have used this for quite some time and this is my third bottle and I know it won’t be the last! I use this pretty much every day, even when I haven’t worn make-up because it still benefits my skin and calms everything down. One of my biggest skin problems is large pores however since using this after removing my makeup I have noticed a difference in my pores which is amazing, the only complaint I have with it is sometimes it can leave a bit of an oily film on the skin but other than that it is amazing! I bought this as a replacement for the Garnier Pure Active Blackhead Clearing Scrub. I’m not sure if they have changed the packaging or what however I picked this up anyway and turns out that I like it a lot more than what I originally wanted! It has less exfoliating beads in it so it’s not as harsh on my skin which I am seeing benefits from. Before I started using this wash I used to have quite sensitive skin on my cheekbones and around my nose however since using this one, those areas aren’t as sensitive anymore. Well, there’s my holy grail skincare products, what’s yours? I found their ordering system quite simple, I liked that there was the option to pay with PayPal which always makes me feel a little safer with online shopping however if you don’t have a PayPal account then you can pay with most credit and debit cards. As for delivery, I ordered on Thursday and my package arrived on Saturday, so in my opinion that is pretty darn quick! 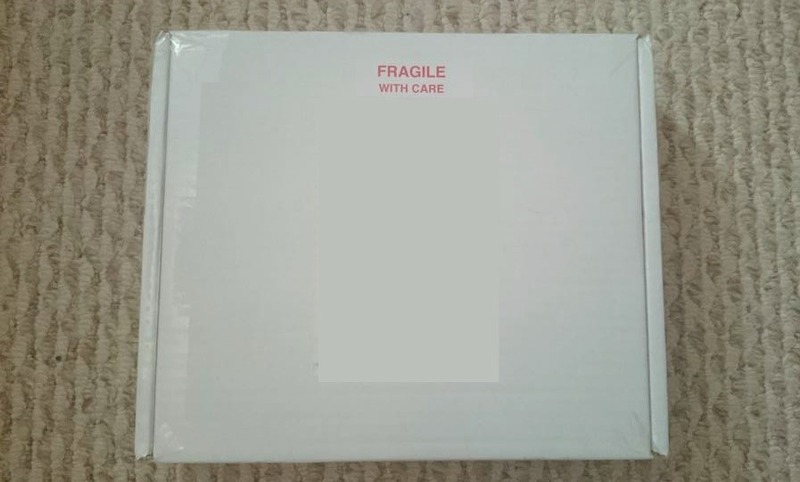 My items came in a strong sturdy box, so straight away I was happy as in the past I have ordered items from other brands and the box has been damaged as well as the items inside. 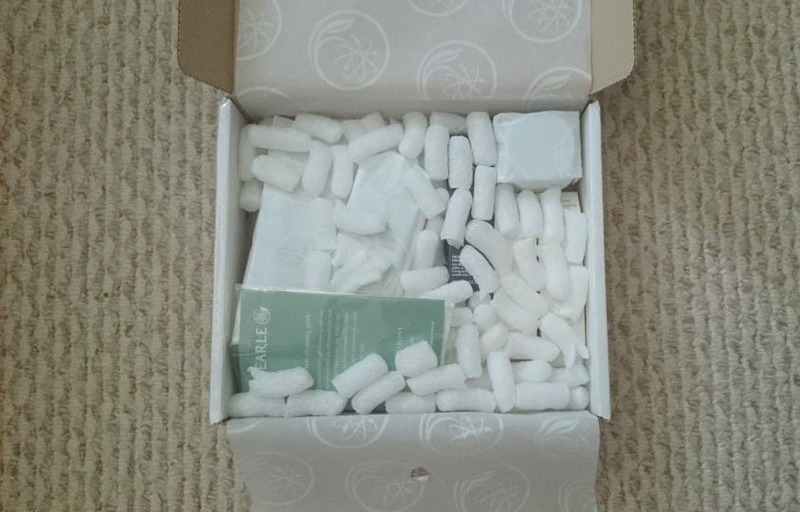 Once I had opened the box and tissue paper I was pleasantly surprised to see packing peanuts, which proves that Liz Earle takes every step they can to keep your items safe during delivery. I got all those items for just £43, if I had bought them separately then it would have cost me £73.50… So I saved £30.50! As I was getting the Daily Eye Repair, I thought I would get a night cream for my eyes. So I bought the Smoothing Line Serum 10ml (£14.75), I wanted to get a line reducing serum because I have quite bad lines that my make-up tends to sink into and so far this is actually helping! The last thing I bought was a foundation, now it is very rare for me to buy a foundation online without seeing a sample, however, I put all my faith into people reviews and YouTube and decided to get the Signature Foundation 25ml (£21) in the shade Porcelain 01. So far so good, I have used it once since I have had it, it’s more of a cream foundation than a liquid and is easily buildable. I will be doing an individual review on each item that I got once I have been using them for a little while. All in all, I am extremely impressed with the quality of their products and their presentation! 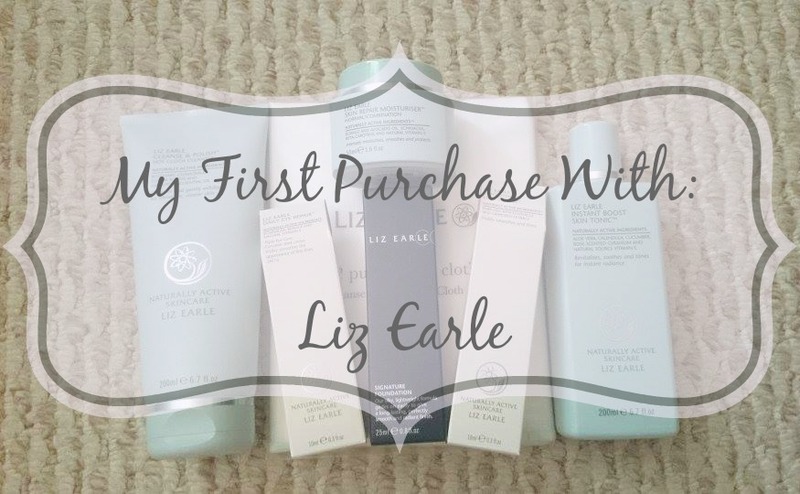 Well done Liz Earle, you have gained a customer for life! 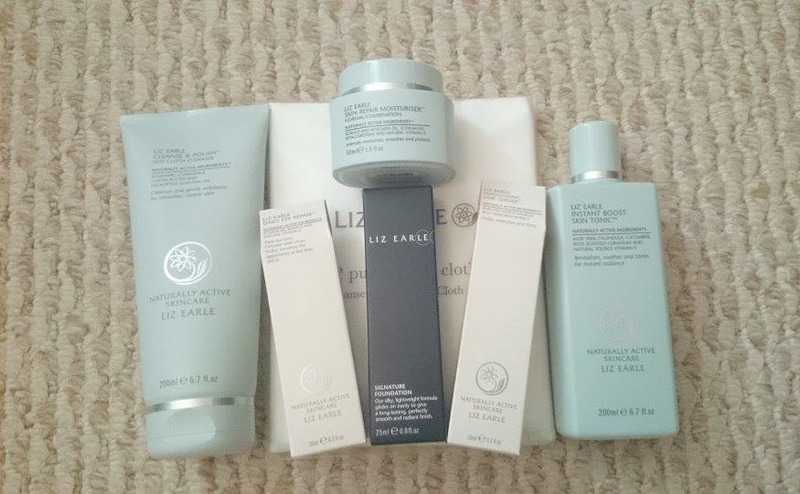 What’s your favourite Liz Earle product? As you can see I have used quite a lot of this product before I have reviewed it but that is only because I was unsure about it. It’s a two-phase formula, one is an oil phase which helps to remove all of your eye make-up (including waterproof mascaras and eyeliners!) and the second is an aqueous phase which protects and cares for your eyelashes. Now the thing that made me unsure about this product was the slightly oily residue that it left behind on my eyelids, it made them feel almost slimy which isn’t something that you want to feel around your eyes! To get rid of that feeling I just used a dry cotton pad and wiped away the residue. So that’s the only thing that I didn’t like, now onto what I did like! When the said that it would remove all of your eye make-up they meant it! I am a huge fan of gel eyeliners and some can be pretty difficult to remove after a long day but this takes it off in a few swipes! 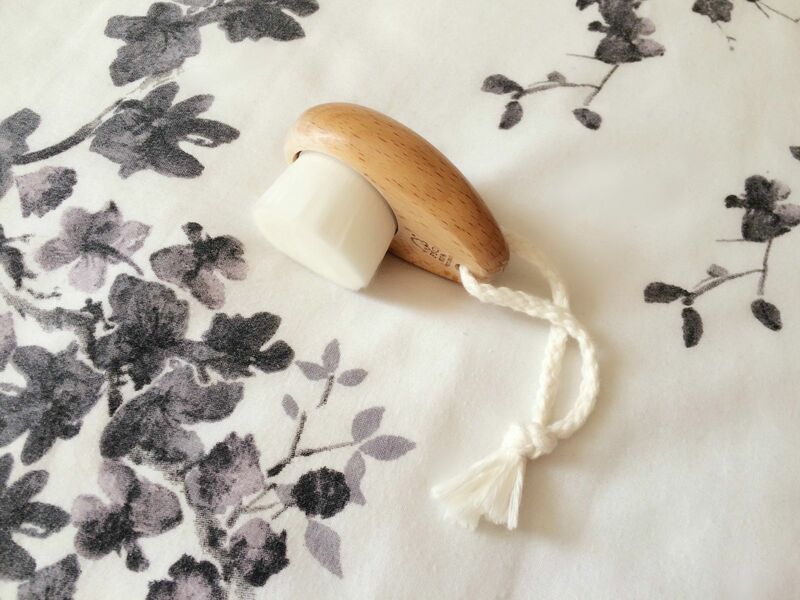 It’s very simple to use, all you need to do is shake the bottle so the two formula’s mix then put a small amount onto a cotton pad, leave it pressed against your eyelids for about 10 seconds then swipe the pad outwards and hey presto! Make-up free eyes (not even a slight panda eye)! This is by far the best eye make-up remover I have tried and it’s the cheapest! So what’s not to love?! Are there any products that I need to try and you’d like to see a review? I’ve been gradually changing my skincare routine as the days have been getting warmer! If you’re in the UK then you know exactly what I mean! So first off I exfoliate my skin every other day by using Garnier Skin Naturals PureActive Blackhead Scrub I tried a few other scrubs in the Garnier range, however, I have always gone back to this product! It clears all my spots and blackheads in a matter of days and it makes my skin really smooth. Then afterwards I use the Clean & Clear Advantage Fast Action Daily Wash to soften the skin further and as a double effect to cleanse my skin. Even though I occasionally have oily skin it’s important to keep my skin moisturised otherwise it will produce even more oil to try and moisturise your itself. So I use the Nivea Daily Essentials Hydration Primer for dry/sensitive skin, I find that this one doesn’t make my skin oily even though it is for dry skin. I like to keep my eyes moisturised as well and for that, I use the Simple Kind To Eyes Balm, it’s a brilliant product as it reduces puffy eyes, it doesn’t make my skin around my eyes sensitive and it’s got no nasty chemicals in it. So as soon as I get in from work or from a night out the one thing on my mind is to get my make-up off and crawl into bed! The first thing I do is take off my eye make-up with Nivea Daily Essentials Double Effects Eye Make-up Remover and a cotton pad, this is a fantastic product as it cares for your lashes as well as removing your make-up. After all my eye make-up has gone I fill up my sink with warm water, dampen my face then use Garnier Skin Naturals Pure Active 2in1 Make-Up Remover Purifying Gel to remove the rest of my make-up and cleanse my skin, I’ve not long discovered this products but I am in love! It’s really gentle on the skin and removes every last trace of make-up. 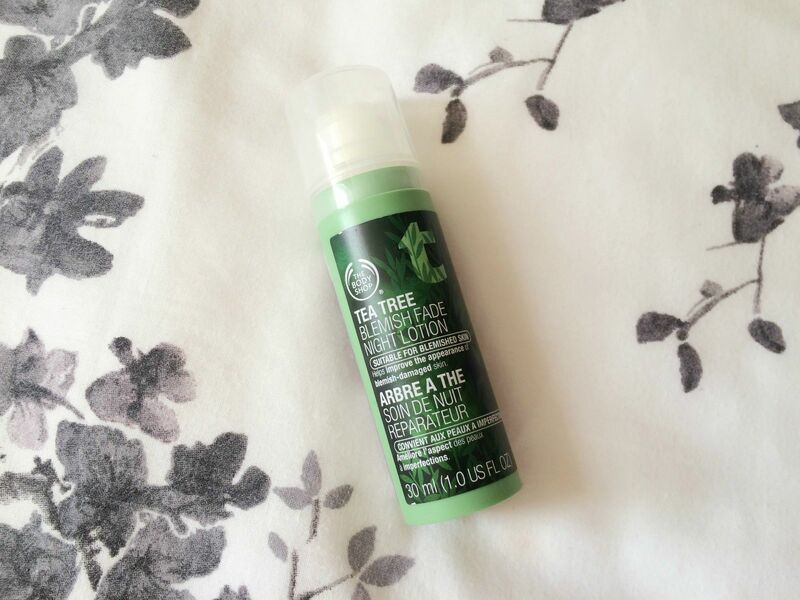 After than I tone my skin with the Garnier Simply Essentials Soothing Toner, I’ve been using this for a couple of weeks now and my skin has never been better! Then finally I moisturise my skin again with Nivea’s Daily Essentials Hydration Primer and Simple’s Kind To Eyes Balm and to moisturise my lips I use Nivea’s Pure and Natural Milk and Honey Lip Balm. I will be doing a full review on all the products I mention very soon! Long time no write? Sorry that I haven’t been blogging recently! With my old laptop completely dying on me and having to wait for my new one meant that there was a week and a bit without a laptop! Anyway, I have recently subscribed to a few beauty boxes and one of them is from Birchbox (get yours here) I have also subscribed to Miss Glossybox however, I haven’t received that yet but when I do I will be blogging about it! As some of you may know I was subscribed to SheSaidBeauty boxes but then they stopped doing them and I never bothered looking for a replacement until I got an email from SheSaidBeauty saying that there was a promotional offer for SheSaidBeauty customers only. So I snapped up the chance! The offer was to get the regular beauty box and a FREE editors pick box as an extra. So let’s talk about them in order! 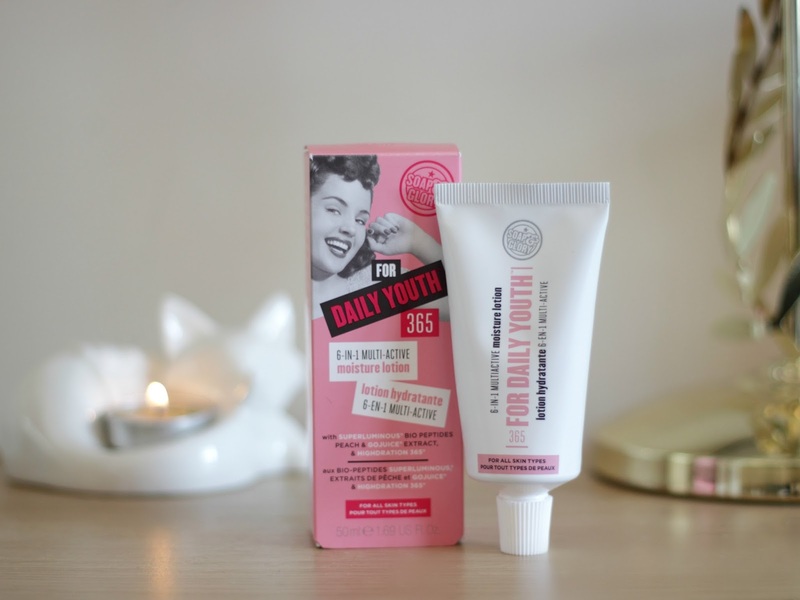 I haven’t used this yet, however, I can’t see myself ever using it if I’m honest, I know they say you should start the anti-ageing process young but I think 19 is too young to start! This is yet another thing that is unlikely for me to use because I’m not that fond of soaps because I think they are unhygienic but I’ll try and use it up. The smell is rather unappealing because it smells like the soaps that your grandma used to have that had heavy floral scents. I had a love-hate relationship with this if I’m honest. I loved the colour but I didn’t like the shimmery gold that was in it, however after the colour faded a little the shimmer wasn’t as in your face but I don’t think I would want to spend £17.50 on a product that I’ll end up taking half of it off, so sadly once again this is another thing that I was a little disappointed with. Now, this I absolutely adored! As you may know, I work in a supermarket so I am on my feet a lot of the time which means my skin suffers from the amount of walking I do throughout the store, I have used about 2 times and it an amazing product! The first time I used it I noticed that it had a slight lemon scent to it which reminded me a lot of when I used to help my nan make lemon drizzle cake when I was younger so that was a happy little memory. Anyway back to the product, it is a thick consistency so a little does go a long way. Even though this product is for more mature skin is still quite liked the effects. It didn’t make my skin feel dry or tight and my skin did look pretty amazing after using it. So I think it is most definitely worth the money! I only had to use one coat of this and they were done! The varnish is the exact same colour on your nails as it is in the bottle and the brush spreads the varnish on the nails really well banishing the streaky looks, unlike the O.P.I varnish! This is another thing that I have been loving and I have noticed a big difference in my skin since using it! Even though I have been using it every night since I received it there is still quite a lot still in the tub. It is quite a thick cream which is why I only use it at night and days when I know that I’m not going to be going out anywhere that day because it does leave the skin feeling a little tacky but once it sinks in properly (after 4-5 hours!) my skin felt really soft and smooth! I fell in love with this the moment I used it!! Not only does it thicken your hair but it also acted like a hair treatment because my skin was so soft every time I used this. The thickening effect doesn’t happen straight away but when you brush through your hair or style it then you really notice it! I always wave my hair using my straighteners because I like the volume, so when I carried on with my normal routine after using this my hair was so voluminous and bouncy it was unreal! So this is something that I will definitely be purchasing a full bottle of! I have mixed emotions about this curler! I love the fact that it fitted my eye a lot better than my Revlon eyelash curler but I didn’t like the look of it, I think it looks kind of cheap because when you hold it, it feels like those metal safety scissors that you used to have in school that wouldn’t even cut tissue paper! However, it does give your lashes a lovely even curl! This was horrendous! I was so excited to try this but I was very disappointed. It was rather patchy when I put it on, even with two coats it still looked streaky and because of the colour, it just looked like I had painted my nails with Tippex! I don’t know maybe it was because of the small brush or the formula but it has put me off of using O.P.I again because I don’t really want to waste £11.50 on something that I will regret buying. I don’t have dry skin around my eyes and I usually just put whatever moisturiser I’m using around my eyes too but since I have tried this it has made me want to buy an eye cream! My eyes look so different, the skin actually looks normal instead of looking like I’m a 100 year old corpse! I would love to repurchase this, however, I can’t afford it. Sadly. This is AMAZING!!! As I have been trying to stay away from heat and look after my hair the best I can, this has been a life saver! It is an oily consistency but it doesn’t make your hair greasy! I put this on the mid-lengths and ends of my hair and it has worked absolute wonders! The ends of my hair are no longer frizzy and damaged which also helps the fact that I am trying to grow my hair out! So this is another thing that I will buy a full size of once this runs out. I’m actually having a cup on this right now! It is really nice! It is a Chinese green mixed with lemon grass and the smell of it hits you as soon as you open the tin which is what I love! Now I was a bit of an idiot when I first tried this out, I read what the instructions were on Birchbox’s website but I was stumped when it said “Steep in hot water.” Me being me I just thought they were using a fancy work for pouring but I was wrong! I use half a teaspoon each time and the tin is quite big so I think it’s going to last me for quite a while! Gives me plenty of time to decide if I want to repurchase it but I most likely will! I think this is one of those products that you use for when you have a ‘homemade spa’ day. It smells absolutely amazing and it cleans your skin really nicely. I used this at night time and in the morning my skin was glowing! My skin tone didn’t look as red, my blemishes had faded quite a lot and it didn’t dry out my skin. I think I will purchase this sometime in the future and just keep it for special occasions and when my skin is freaking out. So there is my massive Birchbox review and overall I am very happy with what I received and I will most definitely stay subscribed to them. 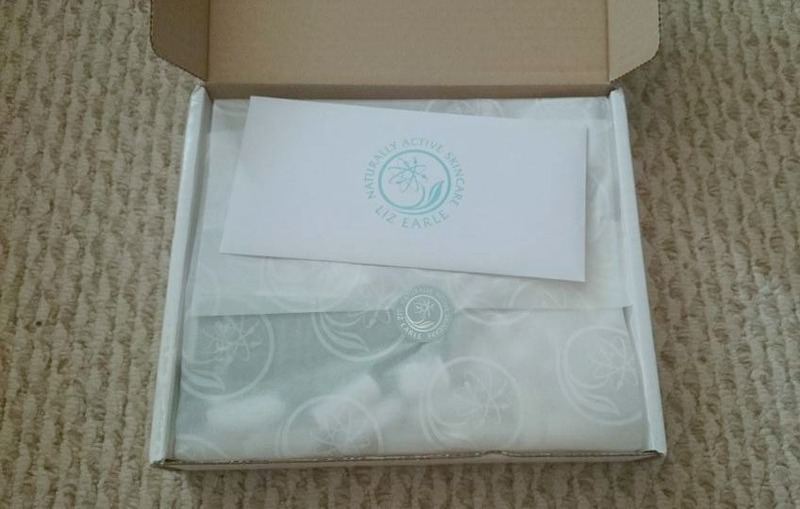 If you are interested in receiving a box then you can subscribe by clicking here. The boxes are £12.95 (including p&p) which I think is a great deal seeing as you get full-size products occasionally and quite a few extras! Did you get a Birchbox? What were your thoughts on it? 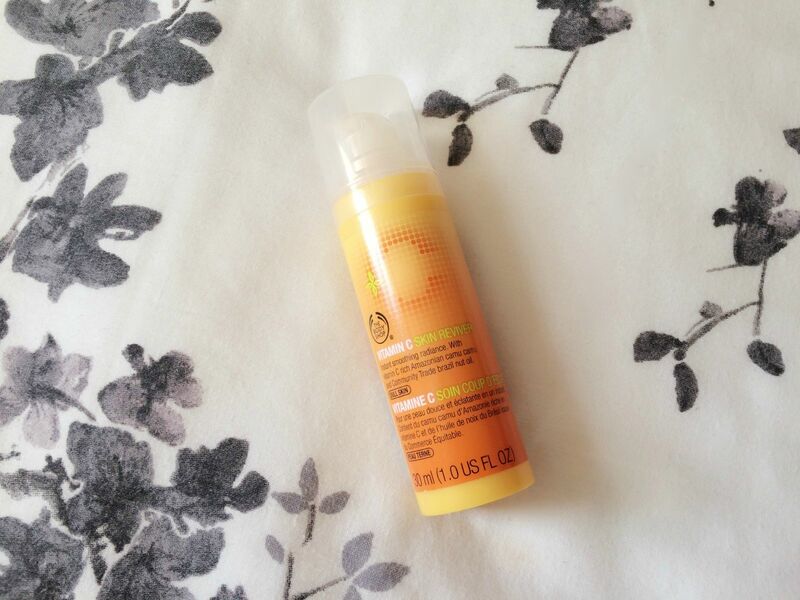 Today I thought I would write up a review for the Garnier 2in1 Make-Up-Remover Purifying Gel (Boots – £4.99) seeing as I have been using it for about 2 months now. This is a 2in1 product that not only removes your makeup but it also combats imperfections. 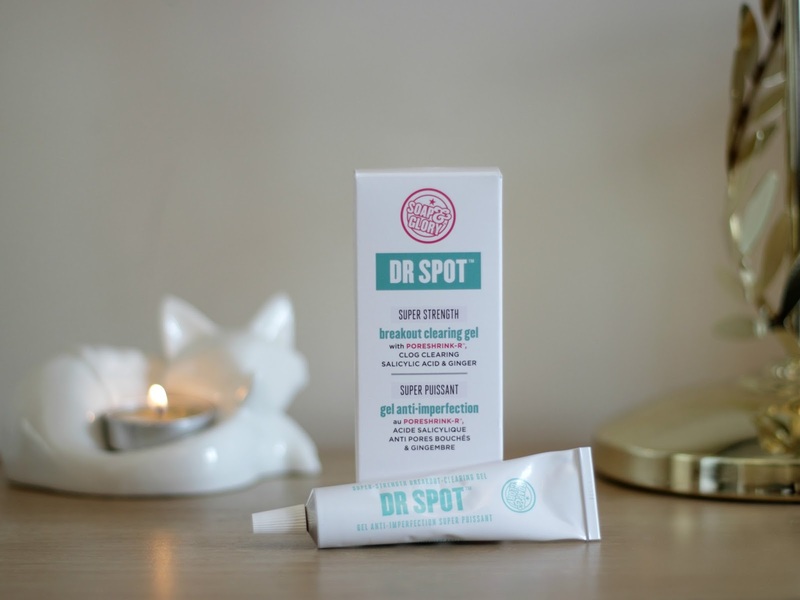 If you have combination-oily skin that is prone to imperfections then this is definitely worth a try as it contains anti-bacterial Salicylic Acid which is known to clear up those pesky spots! As well as treating spots the gel unclogs your pores, helps to reduce shine and removes your makeup effortlessly, even if it’s waterproof! The first time I used it I found it a little bit messy because of the consistency as it didn’t lather up as much as I thought it would, a lot of the gel ran down my arms as I was putting it on my face, however, I did use 2 pumps as I thought that 1 pump didn’t look like enough but I was proved wrong the next day when I only used 1 pump. It didn’t run everywhere like before and it lathered up a little bit. I usually wear a full face of makeup which usually consists of a liquid foundation, concealer, setting powder, eyeshadow, pencil eyeliner, gel eyeliner and a lipstick/lip gloss and everything was removed in a few little hand movements. It left my skin feeling cleansed, refreshed and really soft. As for the combating imperfections, I didn’t notice much, the redness faded a little bit however I still got some spots here and there. I think this is a great product for removing makeup and reducing the shiny look on my skin but it didn’t help me with my spots, however just because it didn’t work on my skin doesn’t mean that it won’t work with yours because everyone has different skin. If you try it out then let me know how you get on with it! So another month has come and gone and apparently, January was the month that pretty much everything would run out. So let’s get into it! This has taken me absolutely FOREVER to use up but it is a great mousse for giving your hair an extra boost of volume! It doesn’t weigh my hair down or dull it. Unfortunately, when I tried to repurchase it, I couldn’t find it anywhere! I asked the staff in both Boots and Superdrug, they said that they weren’t stocking it anymore which is a great shame because was fantastic! However, I have found one just as good and it is the Pantene Pro-V Style – Volume and body Magnifying Mousse. Now you will know that I absolutely love this hairspray! I just wish it wasn’t as harsh on my hair as it is! This is a brilliant hair spray and it does keep your hair in place, but it’s just how solid it goes once it’s dried. It makes my hair feel really rough and dry but I will always come back to it until I find one that isn’t as harsh! I love love LOVE this face scrub! It does exactly what it says on the tin… Well, tube. I stopped using this to try out the Neutrogena visibly clear pink grapefruit facial wash and oil-free moisturiser (click here to read my review) my skin was having a major freak out and when I used this everything calmed down (Updated skincare routine coming soon!) so this is a little lifesaver as it is tested on spot prone skin which is what I have. This shampoo is the best one I have ever tried! It is a protein-based shampoo which promotes healthy hair growth and this has worked 100% I have written a full review on the hair growth range here. I have never been the type to be into moisturising my face but when I noticed it was a primer too I had to try it out because if it kept my makeup looking good for longer and moisturised my skin then it’ll be a win win! I got it for dry/sensitive skin and I think it is brilliant, it kept my skin lovely and soft, my makeup lasted longer and for a small pot, it does last quite a while. So I loved everything about this product and for £4.99 you can’t really go wrong! If you have watched my December Favourites video then you will know how I feel about this product! I was getting at my absolute wits end about my red cheeks so I did my research for anti-redness treatments and came across this! It cost me £4.99 and it works an absolute treat! If you are having problems with red cheeks then I urge you to try this! This is my favourite body wash at the moment! I’m trying out a few of the Original Source body washes and scrubs so once I have gone through a few of them, then I will either do a video or a blog post about them but they are amazing they smell great and they are made with natural products!